France, South Korea and Algeria in Q & A mode. Having spent the last 18 years in France, South Korea and Algeria, what are your impressions on those countries? Well we have to look at what they have in common and how they're different. First what they have in common. In all three countries I am not an individual. You can't be an individual in those countries. Somehow you often represent your country or your tribe. It's hard to break the ice in all three countries. You know how in the United States or in Israel we try hard to break the ice when meeting someone by being as pleasant as we can. Well first meetings with the French, the Koreans or Algerians tend to be quite awkward specifically because you're not an individual. Questions tend to revolve around your group or tribe and involve quite a few deliberate microagressions. You're American that's why you're fat. You're Israeli so I bet you're bluffing your way through this conversation and really want my money, those type of stereotypes. Not being an individual means you can't really dress or act in a way that signals individualism or independence. A lot of times in France I would refuse to eat with “friends” simply because I didn't want the food I was eating to be a topic for conversation as was sometimes the case. Each time I'd grab a sandwich there would be questions about whether it was Kosher or not. I don't keep Kosher, and the French and Algerians tend to have a problem with that. In Korea I'd get told off for inventing a dress code, one that involved an unzipped hoody with a color shirt and a matching color tie underneath it. I actually got fired partly for dressing up like that at work. Poor me I thought I'd invented a thing. In all three countries people love to talk about where they're from and what school they went to. The better the school they went to, the more you have no point trying to show them that you've read books without going to those schools. Often they did not read that many books, but the name of their school is the ticket to intellect in their world. Now to the differences. The French tend to be all “me, me, me” and love to talk about themselves, though they're not always good at asking you how your day went, or asking your anything really. You often get stuck in a conversation all about them. But if you like to hear the French talk about themselves you're safe, though you need to understand the codes. They're just trying to show that they're good at stuff. The Koreans tend to run out of conversation fairly quickly. It's not their fault. They are so “imprisoned” at their workplace that it's all they have going on in their life. So if they don't want to talk about work, there's nothing left to talk about. The Algerians love to reinvent themselves. So I tend to keep it at the surface level with Algerians because the minute you allow them to expose their life they redesign it completely. But I understand the Algerians. Society tends to be quite jujdgmental about people, so you often need to make stuff up to be accepted in society. Saying you've had a lifetime of unemployment won't get you far, even if it's the truth. You need to reinvent your career if that's the case. Of course these are generalizations and it always depends on who you're talking with. Question: Let's talk about education systems in the three countries. What were your thoughts on those? My personal experience of education in those three countries is you've got no one to talk to about your plans. I was trying to plan a Ph.D. but there was no one inside or outside the university I could discuss my plans with. The second thing all three countries have in common is the cynicism that goes with research, reading or planning an academic career. It's the degree that counts, not the content of the information you're trying to share. Third things all three countries have in common is that it's the name of the institution that counts, not how many books you're read. Finally, in all three countries, perhaps Algeria to a lesser degree, professors like to bully their students, and the professor is always right in the end. Regarding the names of the schools you attend here's how I'll break it down. In France, a Ph.D. tends to be worthless unless you're a medical doctor. People won't call you doctor if you have a Ph.D; and professors tend to be in the same social category as teachers, earning about the same wages. In France it's only the name of the school that counts, elite schools known as the “grandes écoles” which are very difficult to get in but once you get in tend to be a huge networking game involving very little academia. In Algeria it's the same French elite schools, and I say French, not Algerian. A Ph.D. is highly regarded in Algeria though. In Korea you do your BA at a Korean elite school but doing an MA or Ph.D. at any Korean school is frowned upon. You really need to do your MA or Ph.D. at an American school, preferrably one with a big reputation. My thoughts on the system? If you don't fit the model of elite education described above you get very condescending stares. In France, you can insult someone by saying something like “did you learn that in college?” or in Algeria someone might try to insult you by saying “did you go to a local university?” In Korea, I've seen professors teaching at non-elite schools insult their own students. Man, if I pay tuition to get told by my own professor that I'm not in the right school. In the end, as I said above, you are not an individual in those countries. It's kind of rude to talk about yourself, your personal achievements, your track record. Your school, your country speaks for your actions. Final question. About the workplace. What are the similarities and differences and what are your thoughts? In the US, in Israel as well, we tend to employ people who can easily go from launch mode to cruise mode. That is we understand that the employee will have trouble understanding the codes at first, but once he gets used to them, he can do what he does best and keep doing it, but we never take what he does for granted. 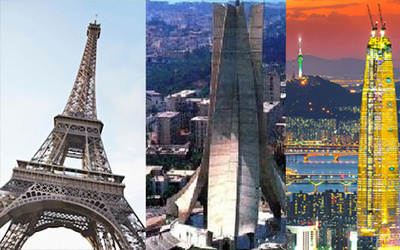 In France, Algeria, South Korea, you are not an individual. There's no launch mode and there's no cruise mode. They tend to expect employees to know the internal codes before they even start working, and the codes keep changing as you're working so you have to constantly adapt to new codes. What I mean by codes is tasks and rules. In some cases, employers will even drive employees crazy by constantly redefining the codes, and the attempt to make them go crazy tends to be deliberate. In all three countries you don't really get to know your colleagues at the personal level. Korea has company dinners but employees will tend to be quiet while their bosses chat away. Meetings tend to be rare and dull, often scripted. And in all three countries, thin skinned authoritarianism is the norm. All three countries have thin skin and tend to be very rigid in their “correct” ideas or forms of thinking. Contradicting them will lead you to trouble. So in the end employees are not individuals, they are positions or ranks. They will get treated according to their rank, poorly if they are low-ranked, acceptably if they are high ranked, but never with total respect. Of course, again, it depends on what individuals or companies you're talking about.